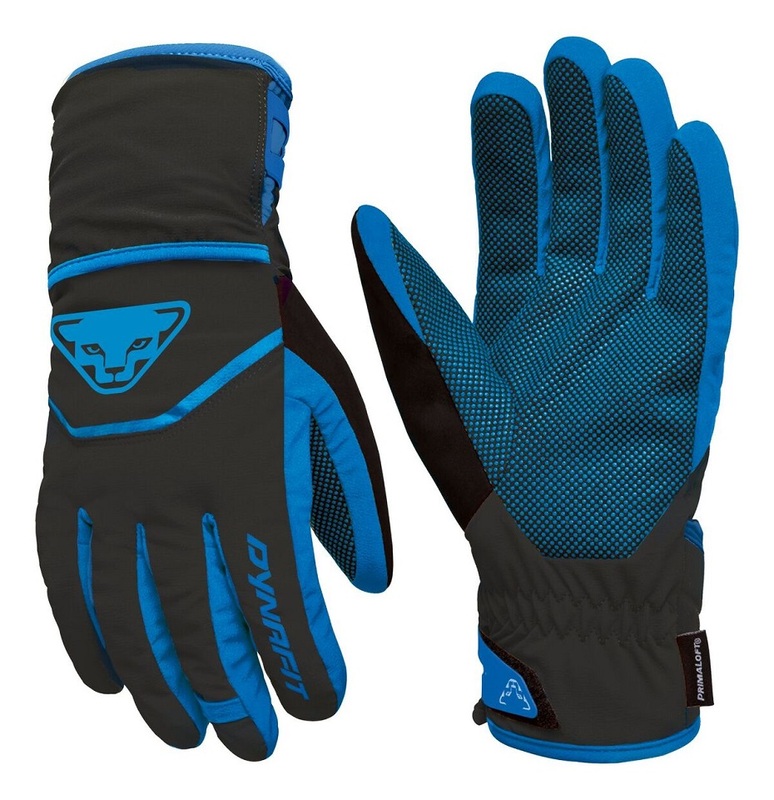 Dynafit has entered the market for transformer gloves that harbor bonus wind mitts in the cuff. Just unfurl the Pertex overmitt on the Mercury DST glove and you’ll instantly add several degrees of warmth and protection. Insulated with Primaloft, the DST starts as a fairly warm yet flexible glove with large zones on the palm. And when you hit the windy ridgelines, you can prevent the wind from hitting your fingers by pulling out the mitt. This is a much loved feature for those who are allergic to stopping and taking off their packs to make minor changes to comfort. Water resistant Silvershell exterior is reasonable durable. Primaloft insulation throughout is reasonably warm. Polyester (fleece) lining is reasonably comfortable. Polyurethane enhanced palms offer good grip on ski poles and ropes. Poly-fuctional design turns the glove into a mitten with a hidden over-glove. Adjustable cuffs help secure your jacket-to-glove interface. How does this compare to the Dynafit race glove? Is it heavier weight? Matt- This is a heavier and warmer glove then the race glove. Plus it has the pull over mitt which will add wind protection and warmth. Great, thanks. How does the fit compare to the race glove? I'm a large in that and it's maybe a tad big. Wondering if the medium would work. Hi Matthew, the Dynafit glove sizing is pretty consistent, so if large is too big, medium might be the ticket.